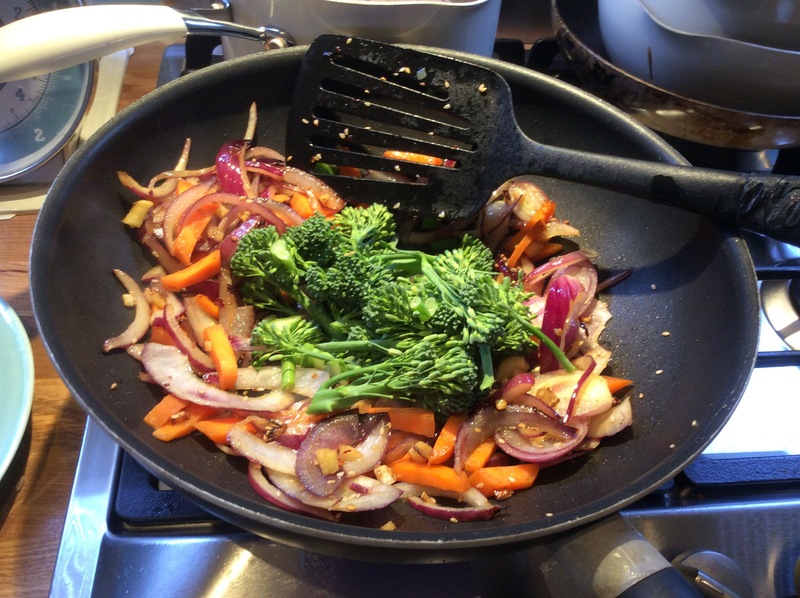 At Jumble House we like our meals to be healthy AND tasty and, if you have been following our blog you will know that we also like food with a bit of a kick! Nothing bland! I can’t see any point in eating food, healthy or not, if you don’t actually ENJOY it. Food needs to look good, smell good and taste good and what could be nicer and more tempting than colourful, crisp vegetables and plump, juice prawns! Click on this link to be tempted! This stir-fry is crammed full of colourful vegetables and great smelling spices and herbs. 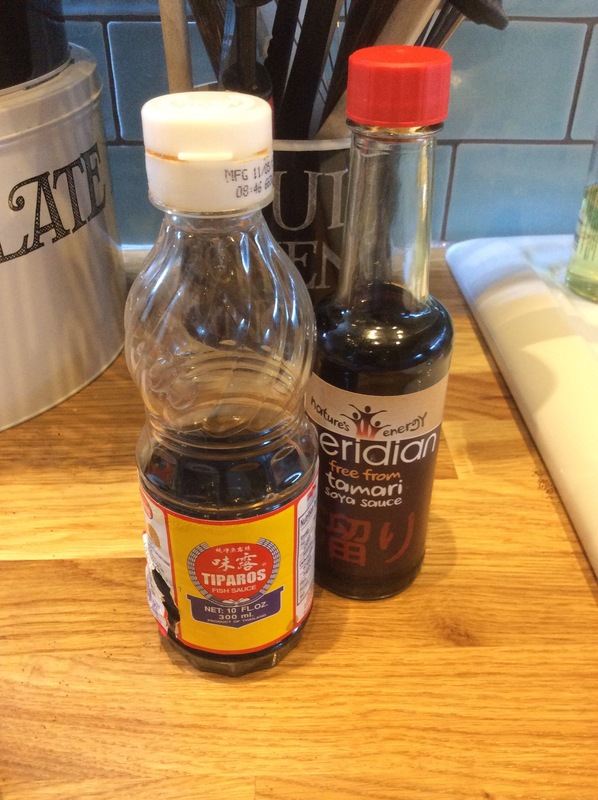 I’ve substituted Tamari Sauce for Soy sauce and lemon juice for Balsamic Vinegar to reduce the sugar content but feel free to experiment! 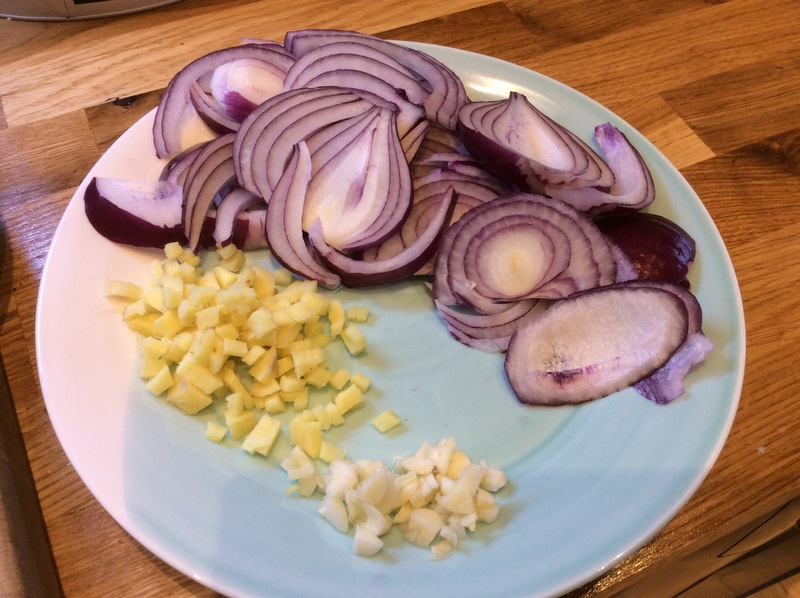 A large thinly sliced red onion. 2/3 cloves of garlic and about 3 teaspoons of chopped fresh ginger. Spices: A pinch of Crushed Chillies and Cumin. I also like to add half a teaspoon of Chinese Spice. Sauces: Tamari and Thai Fish Sauce. Lemon Juice plus 2 tablespoons of Marsala or Sherry. Pour a couple of tablespoons of olive oil into a wok. Heat. Quickly fry the onion, garlic, spices and ginger for about 3 minutes. Push to the sides of the wok and add the vegetables that need the most cooking. Cook on medium heat for another 3 minutes then push to the side and add more. Continue this process until all the vegetables are in the wok. ( I suggest adding the mushrooms last.). The vegetables should stay crisp so don’t overcook. Mix together 1 tablespoon of Tamari Sauce, 1 tablespoon of Fish sauce and 2 tablespoon of sherry/Marsala or similar and add to the pan with the prawns. Cook until the prawns are cooked and a nice healthy pink (if using fresh ones) or heated through (frozen variety). Taste and add more spices/liquid as necessary. Stir in a handful of cashews. Sprinkle with chopped coriander leaf and a teaspoon of sesame oil and serve with rice or noodles.